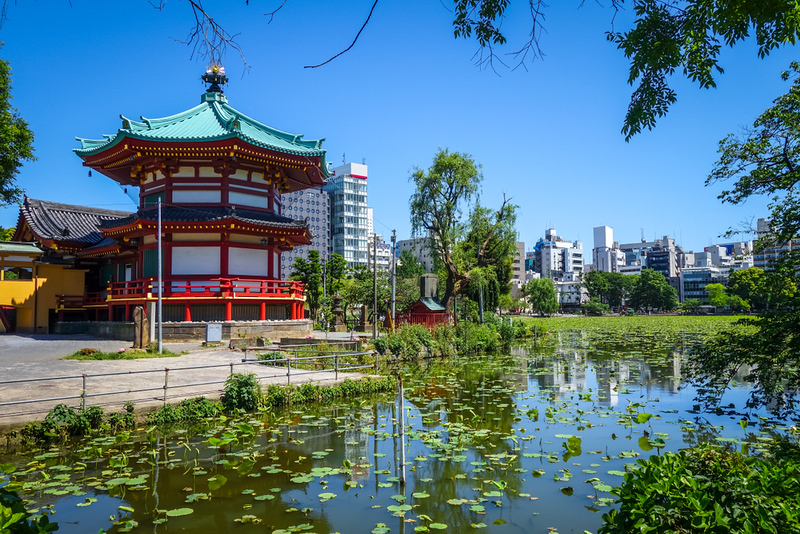 Ueno is a cluster of museums and a zoo built around a spacious park in the northeast of Tokyo. It's a great place for a stroll or a picnic with children. Ueno is the place to go for a taste of Old Tokyo, a walk in the park, or a day visiting museums. Located in northeast Tokyo, it seems a world away from the hypermodern urban nodes like Shibuya and Shinjuku. There's a huge train station here that serves the shinkansen lines that head north and northwest out of the city. You can combine a visit to Ueno with a stop in nearby Asakusa. This huge park is one of the most popular in Tokyo. It's a nice place for a stroll and it's the best place to see the cherry blossoms in the spring. There are four museums here including the excellent Tokyo National Museum. You'll also find the fine Toshu-gu Shrine here and the attractive Shinobazu-ike Pond. This is the best museum in Ueno and one of the best in Tokyo. It's a very good place to get a general introduction to the major styles and periods of Japanese art. Don't miss the swords and lacquerware! The Tokyo Metropolitan Art Museum in Ueno holds fabulous exhibitions featuring Japanese and non-Japanese art. Just make sure you know which gallery you’re heading to. This fine museum makes a good counterpoint to the Tokyo National Museum. It's got a good permanent collection and it plays host to some really good traveling exhibits. This is a surprisingly good museum of science and nature. It's particularly good for those traveling with children. There are the ever-popular dinosaur bones and a blue whale outside that calls to mind the famous one at the Museum of Natural History in New York. This cute little museum down near Shinobazu-ike Pond is a good way to learn about the everyday lives of Tokyoites before the war. As the name suggests, it focuses on the lives of the residents of Shitamachi (the poorer sections of the city). There's usually an English-speaking guide. This small zoo is surprisingly good and there are plenty of species on display. It's great for kids and adults enjoy it too. The conditions for the animals aren't great but that's typical here. Located under the train tracks just south of Ueno Station, this shopping street dates back to the black market days of WWII. It's lined with all sorts of shops selling food and other cheap goods. It's usually packed with people. This old shop specializes in dorayaki (sort of like a pancake stuffed with sweet read bean paste). Fans of the anime will recognize this as Doraemon's favorite food. This popular restaurant not far from Ueno Station serves some mouth-watering unagi dishes, including unaju (unagi over rice). It's not cheap, but good unagi never is. In Negishi, which is near the Uguisudani Station (one stop north of Ueno), this traditional tofu restaurant is a great place to learn what is possible with the humble bean curd. Highly recommended for vegetarians and their friends. This superb little restaurant south of Shinobazu-ike is a great place to sample teppanyaki. The beef and seafood here is awesome and the staff is very welcoming. Located inside Ueno-koen Park, this lovely traditional restaurant is a unique and delightful place for lunch or dinner in Ueno. They only accept cash (no credit cards). Kaisentango Ami no Shokudo in Ueno serves up a hearty sashimi and egg rice bowl fit for a fisherman. Venture further afield from the station for this quiet cozy neighbourhood restaurant. Hearty soba in an atmospheric, local noodle joint that’s just a stone’s throw from Ueno Station. Lovers of sweets should make a beeline for Mihashi in Ueno for their Japanese-style desserts. Come for the anmitsu, stay for the red bean paste and soft serve ice cream! Kadokura in Ueno is a standing izakaya for the people - it has a lively atmosphere, cheap drinks, flavorful small dishes. Set your expectations accordingly and come here for a fun night out. Izakaya Kanoya in Ueno is a crowd pleaser of an izakaya. Like many places in the area, the food is decent and prices reasonable, but the best part is that it opens at 10am - so you can have beer and sashimi even before noon. 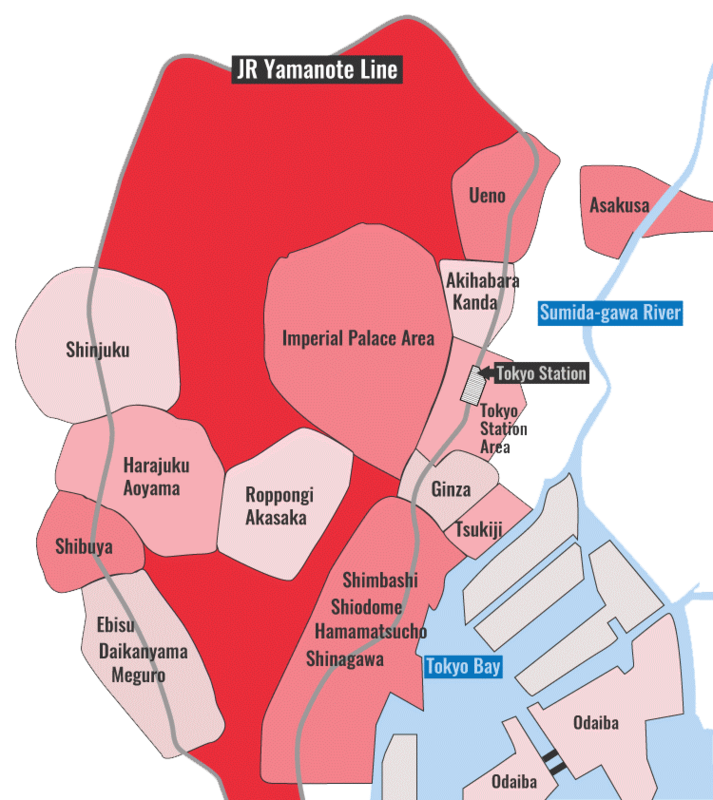 Like nearby Asakusa, accommodation in Ueno is cheaper than in most other parts of Tokyo. There are plenty of budget and midrange hotels here and even a few ryokan scattered about. It's a good place to stay if you want to save money and don't mind "commuting" to other parts of the city for sightseeing. This small ryokan just northwest of Ueno-koen Park is well located for sightseeing. They're quite used to foreign guests. Andon Ryokan is a modern designer ryokan that’s affordable for budget travellers. The rooms are nice if basic, but the otherwise stylish, quirky decor and gorgeously-tiled jacuzzi more than makes up for that! This tiny ryokan is incredibly convenient for budget travellers touring Ueno. The only downside is the shared bathroom facilities and just one shower. Less than five minutes’ walk from Ueno Station, this smart new business hotel is an excellent hotel with larger-than-average rooms, great service and super-convenient access to Narita Airport. The best hotel in Ueno, this one is right across from Ueno Station, so it’s also got the best location. It’s comfortable and convenient. This is a nice business hotel near the park with several nice points: good views from some rooms, a sento (public bath), and in-room massage chairs. Near Uguisudani Station (one stop north of Ueno), this is a decent business hotel with good access to Ueno-koen Park. This wonderful little hotel has a great location, friendly staff and nice rooms, including some great family rooms. It’s recommended! Pretty close to Ueno Station, this efficient business hotel has very reasonable rates and comfortable, if small, rooms. A short walk from Ueno Station, this standard business hotel has some of the lowest rates in all of Tokyo. It can be a bit noisy, but it’s a good value. This small business hotel near Ueno Station has decent rooms and extremely reasonable rates. It’s a good deal. This standard business hotel is a short walk from the station and the rates are very competitive. It was recently renovated. This “boutique hostel” on the far side Ueno-koen Park is a very sociable place where you can easily meet other travelers. This old-school Japanese business hotel overlooking the pond has decent rooms and rates. Very close to Ueno Station and right next to the park, this old-school hotel has reasonable rates and decent rooms. This capsule hotel is a nice place to sample the Japanese capsule hotel experience. This is another decent place to sample the capsule hotel experience.